Rapid Accommodation, specialists in sourcing places to stay for business travel across the UK, has been crowned one of the winners in the Yorkshire and the Humber heats of the Chamber Business Awards 2017. The Grimsby-area agency, which celebrated its fifth birthday this year, has taken home the High Growth Business of the Year award, and are now in the running for a national accolade from the British Chamber of Commerce. 2017 has proven to be a big year for the business accommodation specialists. After securing £2 million worth of business from organisations within the area’s key sectors, Rapid Accommodation went on to become a winner of Dragon’s Den star and Entrepreneur Theo Paphitis’ Twitter competition, #SBS Small Business Sunday. The company has also expanded its team twice this year, taking the number of employees from eight to 11 in order to accommodate the growing demand for their services. 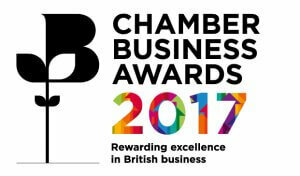 The Chamber Business Awards, which are now in their 14th year, recognise the key role that local businesses play in driving the UK economy. The 2017 ceremony will take place in London in November. Francis Martin, President of the British Chambers of Commerce (BCC) said: “Businesses are the backbone and driving force of the UK economy. Even in the face of uncertain times, they continue to show their resilience and strength – creating opportunities for employment, investment and growth. “Our judges are always impressed by the high standard of submissions, and the calibre of entries this year was no different. The finalists in the Chamber Business Awards represent the best of this country’s entrepreneurial spirit, creativity and hard-work.